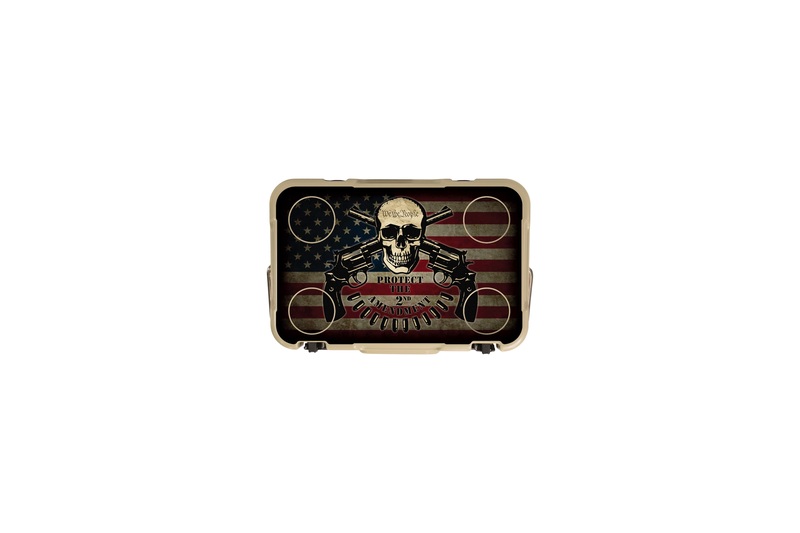 Cincinnati, OH –Mammoth Coolers, a leading provider of premium rotomolded coolers, drink ware, and accessories is proud to announce its new line of Limited Edition Second Amendment/Freedom Coolers. Mammoth Coolers is quickly taking the “hook & bullet” world by storm with their high quality, reasonably priced coolers and accessories, and now releasing a limited edition series of coolers with Second Amendment Patriots in mind. The Second Amendment/Freedom Coolers will be available in the Cruiser Series; sizes include 15 QT, 20 QT, 25 QT and 30 QT. The Cruiser Series is designed as a low-cost, light-duty rotomolded cooler. Built with all of the features of a heavy-duty cooler and just as durable, but light enough to be handled easily on any excursion. The insulated walls provide the ice retention necessary for keeping your items cold during short, everyday trips. Expect to see the 2ndAmmendment/Freedom Coolers on the shelves of authorized Mammoth Cooler Dealers in the next 30 days and online. This entry was posted in Packs and tagged Coolers, Mammoth. Bookmark the permalink.